We headed north today on another journey of discovery. Discovery of Scotland’s hidden natural scenery on a sun drenched day, discovery of each other as we travelled on the bus together and discovery of team spirit that runs deeper than we’ll ever know. Oban were never going to make it easy. From kick-off their passion and determination was on full display. The high energy demonstrated of their hard work and eagerness to earn respect and hopefully something from the game. In fact, for a while they tested our resolve. When we stepped our game up and came close the Oban keeper would come to the rescue time and time again. We remained resolute however. We lifted our game both in strength and quality. We imposed ourselves through intelligent and intricate play patterns, then patiently and ruthlessly proceeded to defeat Oban. We struck the first blow in the sixteenth minute. Jamie delivered a long throw-in into the penalty area. Ricky dummies it and lets it roll on to his strike partner. Euan controls the ball back to goal, then turns to strike past the keeper to open the score. Two minutes later Euan was in the thick of it, taking on defenders in the opposition penalty area before an awkward challenge brought him down for a contentious penalty. Beau didn’t care, he stepped up and converted the spot kick without a fuss. Oban rallied. Ten minutes later their hard work paid dividends. A flighted ball over our defence was headed past a stranded Lennon. The home support celebrated sensing a great opportunity for a come back. But their joy was cut short when Ben majestically struck a brilliant goal straight from the corner spot, curving the ball from the inside of the right foot into the far top corner. The quality of the strike was like a devilish dagger into the saints heart. It was one of those special creativity pieces one could do nothing about but simply admire. We went to the break leading but conscious that the job was far from done. At the restart we returned with a steely determination to see the job through. Regardless, everyone was getting a piece of the action. We confidently took the game to Oban challenging them in the process to raise their own. The tempo and intensity exposed some of the opposition weaknesses and we duly capitalised. 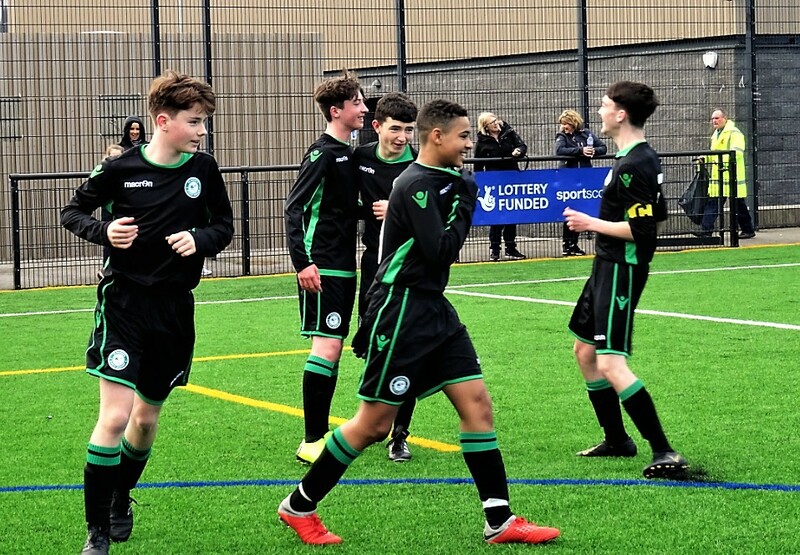 Dom from midfield feigned a strike then cleverly put a ball through to Euan who set himself up and struck with the left into the bottom right hand corner. Oban came back and Joe in goals pulled off a double save to keep them at bay. They would be made to pay for their intrepid foray with a devastating counter. Great movement from the back to Dom in midfield who turns provider again, immediately releasing Ben up front. Ben promptly got onto the inviting pass to lift the ball past the keeper at the near post for a well earned brace. Overpowered, Oban were now mere spectators to their own demise. Some brilliant interplay in midfield culminated in Ben receiving the ball and then moving it along to the far left for Jamie to run unto and strike with the left, low into the far bottom corner. 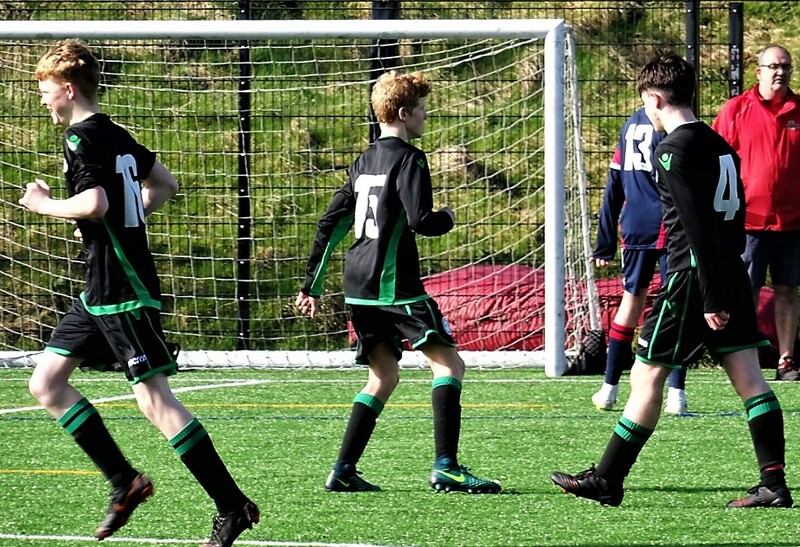 Jamie then turns provider through sheer perseverance, worked past the right wing back before delivering a low cross which Euan turns past the keeper at the near post with the inside of the left foot to record his hat-trick. We came away from Oban very much reassured that the work we are putting in at training is paying off. Today’s performance showed grit and strength of character when required. Physical presence is matched by fearlessness in battle, a great combination to underpin confidence. 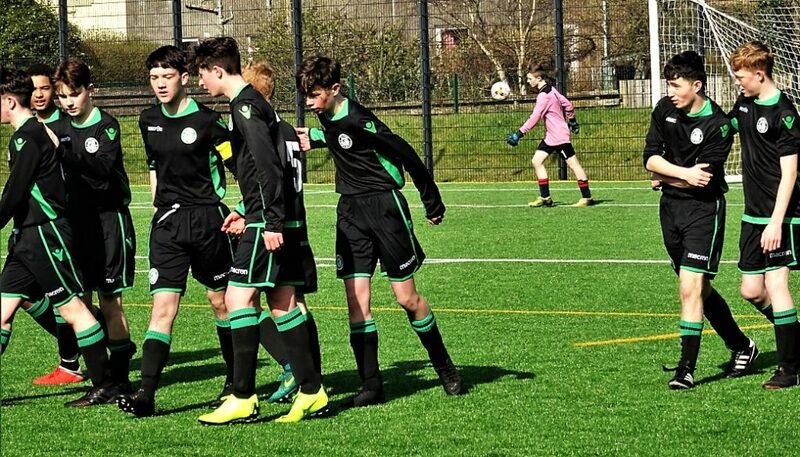 1 Reply to "Oban Saints Vs St. Patrick’s – 2004"
Well done to both teams on a determined performance!! And thank you for the report of the match. It was so well described you almost imagine you’re there.